Grand Teton National Park is wonderful to visit any time of year, but Autumn is my favorite. Fall brings many wonderful things to the Tetons, but one thing it takes away are the large crowds of summer. Whew! It's also the perfect time to view wildlife. The cooler temperatures bring the animals out, looking for food for the coming winter season. Some of the animals also get frisky in the Fall. Cover your eyes! 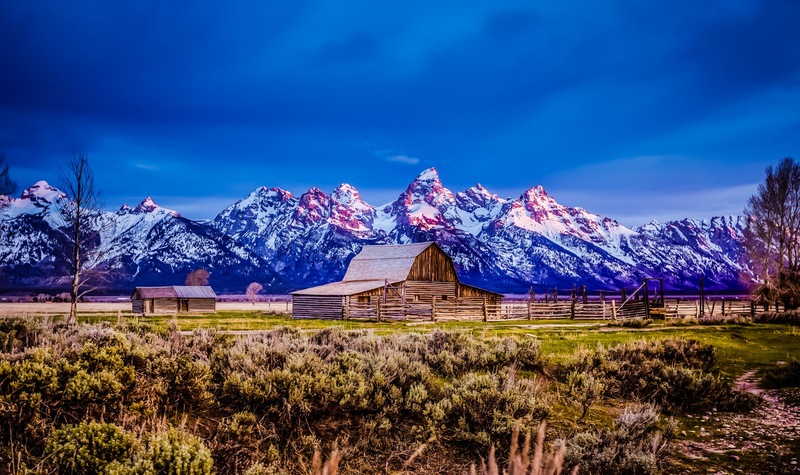 The Teton Range has large deciduous trees whose leaves paint a palette of mostly yellow, red and orange. Cottonwoods guard the banks of the Snake River and other creeks throughout the area. Aspens, my favorite, can be found on hillsides and scattered throughout the park. Many species of willows, and other shrubs, transform the lake and canyon trails into yellow and red lush blankets of color. And the scents! Pine mixed with dried leaves, the distant smells of rain, or snow. Heaven. Fall hiking and biking is highly recommended. The trails are all but deserted and great if you want or need to get away from it all for awhile. For some nice, easier hikes, consider Inspiration Point and Hidden Falls, the Phelps Lake Overlook and the Laurence S. Rockefeller Preserve’s Lake Creek and Woodland Trail Loop. For biking, the 65 miles of Pathways in Teton County include the scenic 20-mile stretch of multi-use trails within the park. The 12-mile section of path that begins at Moose Junction and ends on the shores of Jenny Lake promises some of the best views of the peaks, jagged glacial canyons and pine scented alpine forests that the Grand Teton National Park's ecosystem has to offer.